I decided to write this post due to the frustration and lack of information out there on how to make HTML5 widgets for Adobe Captivate. There is almost no documentation on this and the only useful article I could find was riddled with mistakes. My approach may not be the best but this should get you started. 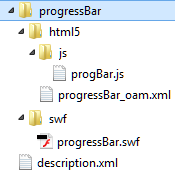 First things first, you will need to make two versions of your widget – a SWF version and a HTML5 version. Even if you don’t plan on using the SWF version, it is required during authortime in Captivate and is where you can provide the edit mode GUI. These two versions are packaged up into a .wdgt file which is just a zip file with the extension changed to wdgt. In the html5 folder you will now need to create a descriptor for the html5 version. This follows an ‘OAM’ spec which I don’t know anything about, all you really need to know is that it will contain the following. 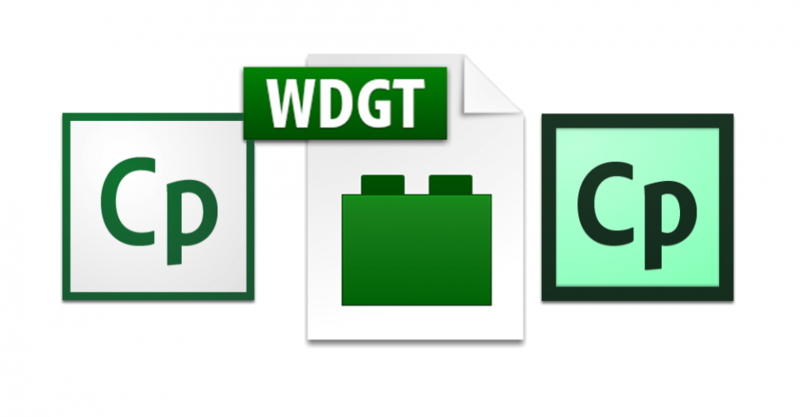 (See this Adobe doc on creating wdgt files for more information on this file). It should be saved in the html5 folder and the name should match the name specified in the description.xml file. Once you have created you JS widget you need to create you SWF version. Open up Captivate and go to File > New Project > Widget in Flash to get a new widget template. Here you can create your widget as normal, I am not going to go into this here as there are other resources on creating SWF widgets on the net. When your widget is ready publish the SWF and paste it into the ‘swf’ folder we created inside our widget folder. Make sure the name matches the swf name in the description.xml file. Now all that’s left is to package it. Select the contents of the widget folder and zip it up. Rename the .zip extension to .wdgt. Now you can refresh the Widgets panel in Captivate and insert the widget as normal. Captivate will choose either the HTML5 or SWF version depending on your publish settings. That is all your should need to get started with a basic HTML5 widget for Captivate.